• 180 sqm , 3 bath , 1 half bath , 3 bdrm Beach Front Villas – FOR SALE €690,000 EUR. 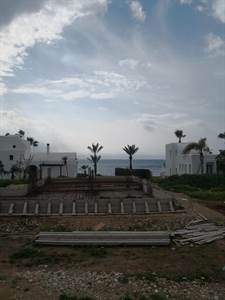 This new project is located in Kissonerga at the seafront area only 100m from the sea. The plots are 500square meters with 180m2 covered areas and your own private swimming pools. The villas come with 3 bedrooms all en-suite with the option of converting to 4 bedrooms and total covered areas 200m2. The price includes the VAT.